There are a total of nine battle pets that can be gained from killing rares when the Alliance has control over the Arathi Highlands. Each of the following rares give you one chance per event cycle, to acquire a unique Battle Pet. 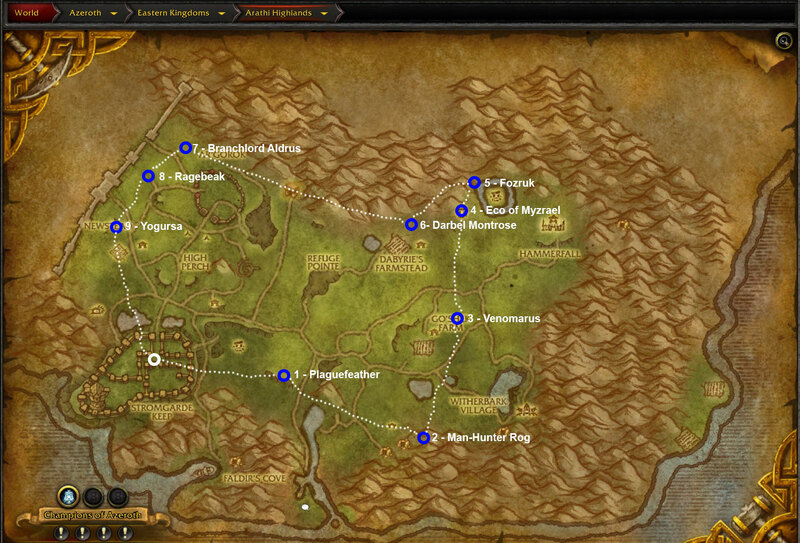 For our horde readers we have also made a Horde farming map for your convenience.